“It was peer pressure” said Brenda Masuku, explaining how she became listed in the SABMR in 1999. “A couple of my friends at work were going to participate in a bone marrow drive for a South African boy who had leukaemia and they urged me to join them”. She is delighted that something done on a whim has resulted in a personal satisfaction she could never have imagined! The youngest of eight children from a village in Mpumalanga, she is the only member of her family who has ever donated blood and she is the first black South African to become an unrelated stem cell donor. “It is not typical of black South African culture to donate blood, let alone do something like become a stem cell donor”, says Brenda. The fact that Brenda donated stem cells for a young girl in Lancaster, California, is all the more extraordinary! 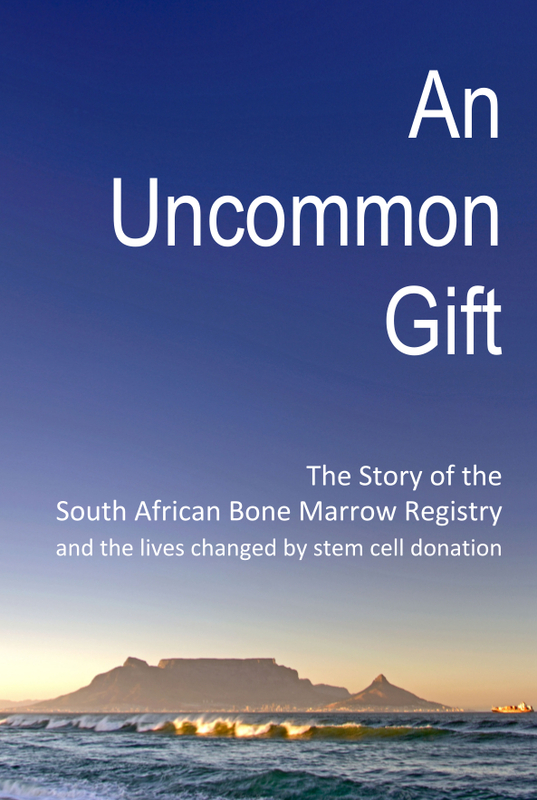 All stem cell donors registered on the SABMR are listed on a worldwide database – Bone Marrow Donors Worldwide. 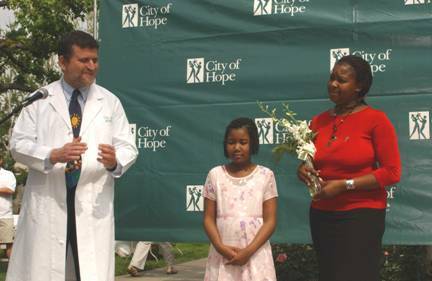 It was this search tool that was used by transplant co-ordinators in the USA to identify Brenda as a match for a very ill young girl – Ashley Wilder. cells to an unrelated patient. While Brenda admits she was nervous, she says the procedure was very easy. In 2004, Brenda was invited to attend a “Celebration of Life” event where she met Ashley for the first time. This was Brenda’s first trip out of South Africa. It was an extraordinary journey for a young woman who simply followed through on a whim. “You never know how your actions will come back to you” she said, with joyful disbelief.